Toasting has a hugely significant history. In actual fact, the first recorded toast of all time was in Saxon times, when a woman gave a speech at a feast before becoming a bride by the end of the evening. Similarly, British King Vortigern was so utterly moved by the sentiment of a speech given by Rowena, the daughter of a Saxon leader, he married her that same evening. From that moment on, the words “to life, to health, to love” have been key in any toasting tradition. The name itself has its own history. When wine was more commonly decanted, there was always surplus sediment at the bottom of the bottle. The French discovered that if they placed a piece of scorched bread at the bottom it could absorb this. Traditionally, newlyweds would try to get to the bottom of the bottle as quickly as they possibly could, in order to be the first to get to the toast. Despite the fact that the tradition of the soggy toast has long since disappeared, there is still a tradition of “raising a toast” to a happy couple, which is usually included in the speeches during your wedding reception. It is very important that you get this right, as it can help to set the exact tone that you are searching for. The first thing that you need to think about is how you’re going to announce the person who is giving the speech, and who will do it. It is nice to make a big deal of it to add to the occasion; there is a difference between an introduction and a simple announcement, and it’s nice to make things a little bit special. No matter who is introducing the speaker, make sure that there are at least one or two personal touches that they can add before the speech actually starts. It is important to think about the practicalities of your speech. A lot of people don’t think about the delivery of the speech, instead they simply write it and then hope for the best on the day. In reality, it is very important that all who are in the room are able to hear what is being said, because if they can’t they run the risk of missing important messages and sentiments, and may also become bored – which isn’t what you’re aiming for at your wedding. Talk to your wedding DJ about the equipment that they are bringing along with them. Chances are, you would be able to use a sound system from them. In addition, this same system could also be used for background music during the wedding breakfast, meaning that you have solved two issues. Another question is when to have the speech. 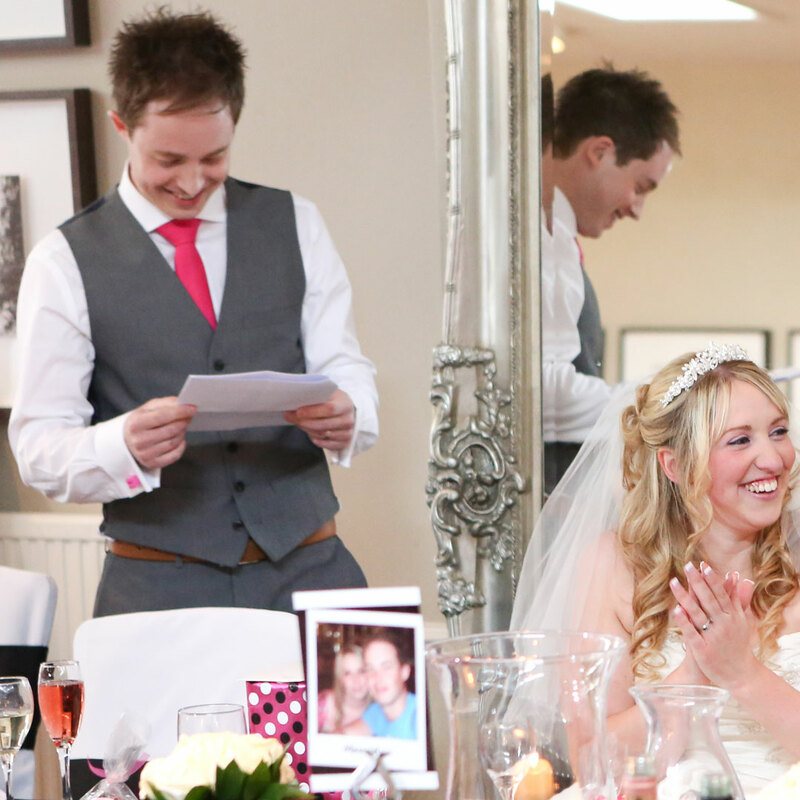 Many couples decide that they would like to do this before they have their meal, however there is always the issue of the fact that if the guests are hungry, they may not want to sit and listen to a speech. By waiting until after the meal, you would find that they were in a much better frame of mind to listen and enjoy (and, let’s face it, enjoyment increases once the ale is flowing)! The actual content of the speech is key, and can completely set the tone. Although some people will be more than happy coming up with this on their own, your wedding DJ is also able to help you with ideas. 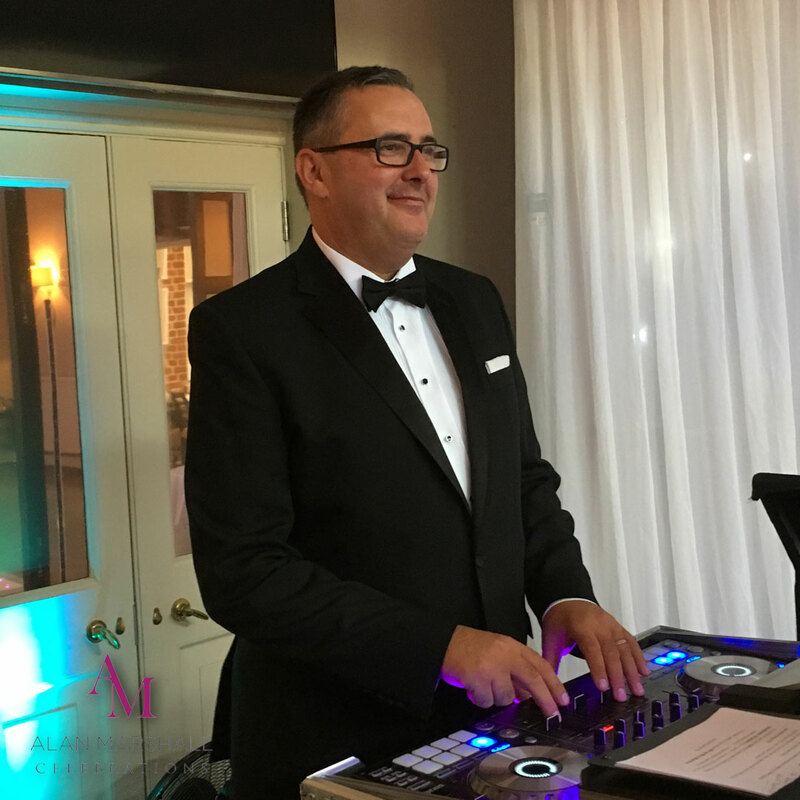 Right from the introduction about the couple, through to memories and hopes/dreams for the future, your wedding DJ can make sure that nothing of importance is left out. Ultimately, your wedding speeches are something that everybody is going to remember, so you need to make sure that you’re getting them right. Doing so will mean that you can look forward to your big day, and shape it into something that everyone is sure to remember.